Shop for gift certificates and other items in our online store. We are miles from the ordinary. Cherry Blossom Golf Club is "More Than Golf. It's a Lifestyle." 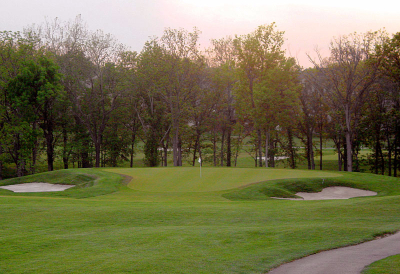 Our Georgetown golf course is conveniently located just minutes from Lexington, and only a one hour drive from Louisville or Cincinnati just off I-75. Cherry Blossom may be close to where you are but we are miles from the ordinary. We’re a great day’s golf getaway without actually having to get away! Cherry Blossom has been called, “Kentucky's Best New Golf Course.” It was voted by Golfweek Magazine as the “#1 public golf course in the state of Kentucky” for seven years running (2004-2010). The 178-acre golf course is championship caliber and was created by world-renowned golf course architect Clyde Johnston of Hilton Head, SC. Our 18-hole course in Georgetown, Kentucky features 6,866 yards of golf from the longest tees for a par of 72. The course rating is 73.9 and it has a slope rating of 135 on Bentgrass. Designed by Clyde B. Johnston, ASGCA, Cherry Blossom opened in 2001. Within our 427-acre enclave of gently rolling bluegrass, Cherry Blossom shines as the jewel of Central Kentucky's premier master planned community, Cherry Blossom Village. Enhanced by the natural beauty of Lane's Run Creek, Cherry Blossom is truly above par with all the amenities of a private country club, full service restaurant, swimming pool, driving range and three practice greens to improve your game. Cherry Blossom is the perfect setting for your next outing or event. The clubhouse, with dining facilities and a bar/grill, is the warm, inviting hub of all club activities. Our seasonal swimming pool is not your typical pool. You have to see it to understand. And you’ll understand why our social members love to while away the summer lounging around it. If this sounds like your kind of place, we’re holding a membership open for you! Come give us a visit. Meet with the members. Who knows, you may be the next member of Cherry Blossom!